I can't believe it's already 2016, and that means it's time to make some resolutions about all the things we want to accomplish this year! For me, the list is always a mile long, and this year is no different. In fact, this year, I have more resolutions than ever because now we have Lucy, our six month old German Shepherd. There are so many plans we have for her and so many things we want to work on with her! Milk-Bone knows that pet parents are especially ready to make some "Ruff-olutions" this year. 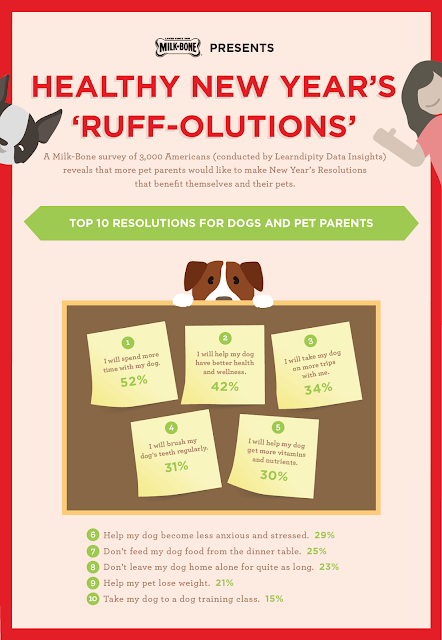 The folks at Milk-Bone surveyed 3000 "pet parents" and found that when it comes to making resolutions for our furry friends, we are definitely not alone! When it comes to us and our Lucy girl, we have many of the same goals as other pet parents. We really want to take her to dog training classes, master the potty training thing, and basically help her to grow up as healthy as possible. We have a long way to go, since she is just a pup, and is still just learning everything right along with us! However, she is a very smart girl, and I know that we are going to have lots of success working with her on our goals! 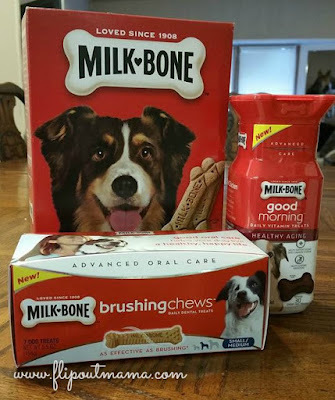 Thanks to our friends at Milk-Bone, we got to check out an awesome Doggy Dental and Wellness Kit, which includes tons of great stuff to help keep Lucy happy and healthy! 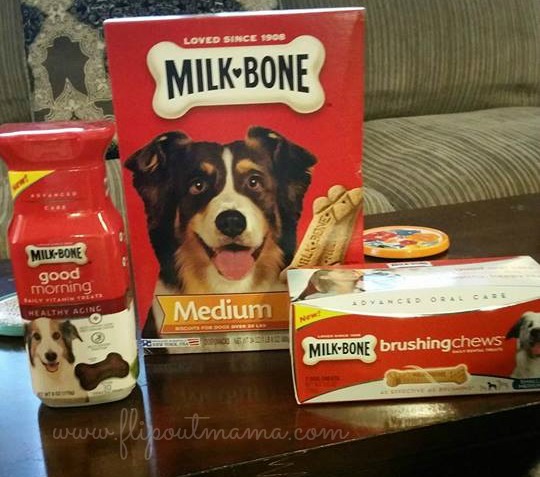 We really liked the Milk-Bone Brushing Chews as well as the Good Morning Daily Vitamin Treats! 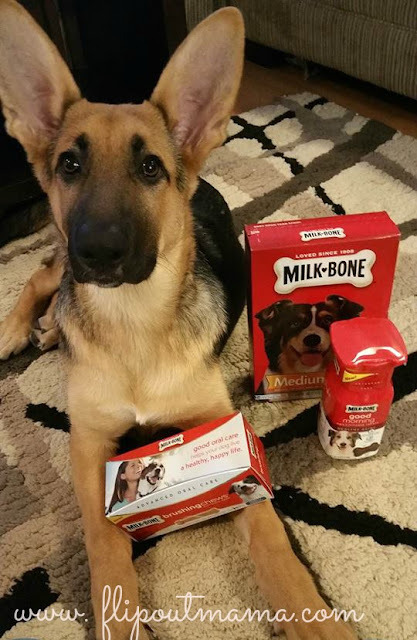 I really do feel like we are well on our way to raising a happy, healthy dog, thanks to our good friends at #Milk-Bone! What about you guys? Do you have any New Year's "Ruff-olutions" planned for your pet? I'd love to hear about them!! Share them below in the comments section, and we can help keep each other motivated for a great New Year!